With Avista Stadium unavailable for Spokane (2-2) it was on the Ems (3-0) to host the entire Championship series and is the home team for the first two games. Riley Thompson got the start and held Spokane down for the first three innings; he gave up just one two-out single in the first before getting into trouble in the fourth. J.P. Martinez homered to lead off the bottom of the fourth. Then, after a Curtis Terry strikeout, Diosbel Arias took a 2-0 pitch over the left field wall for a 2-0 Spokane lead. The Ems wasted no time getting those runs back, starting with a one-out double by Fernando Kelli. A Caleb Knight ground out moved him to third before Luis Vazquez singled Kelli home. Andy Weber then singled to center, moving Vazquez to third before Nelson Velazquez singled him home to tie the game at 2-2. 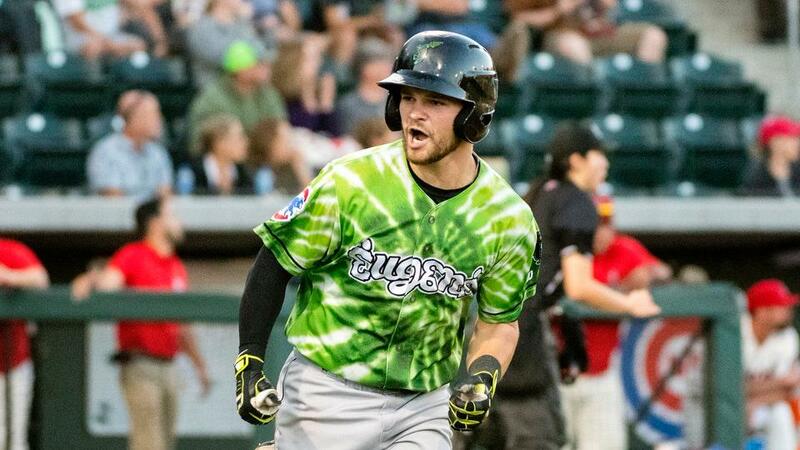 It would stay locked until the top of the eighth, when Levi Jordan crushed his second homer of the year, first of the playoffs, with two outs. The shot came off Jesus Linarez (0-1) who was in his third inning of work. Thompson was run out of the fifth inning after Isaias Quiroz struck out, but reached first safely on a wild pitch. Jax Biggers then singled to move Quiroz to second with one and Thompson's night was done. He finished 4.1 innings with two runs on four hits and six strikeouts. Derek Casey came in and got out of the inning and worked a perfect sixth for 1.2 innings and a pair of strikeouts. Cam Sanders ran into some trouble in the seventh, but got out unscathed with a strike out while Ivan Medina worked two innings and gave up just one hit for his second save of the playoffs. It was the first time all year that the Ems have won three games in a row in eight attempts. All three wins have been 3-2. Game 2 of the best-of-5 series takes place tomorrow with first pitch at 7:05 pm. The Ems will send Jack Patterson to the mound. Tickets are just $5 and can be purchased at the box office or online at EmeraldsBaseball.com.